KPMG LLP is a proud sponsor of the Women’s Infrastructure Network and a strong supporter of the development and leadership of women in the infrastructure sector. We are pleased to play a role in honouring the women who have made significant contributions to the sector and in recognizing the emerging leaders in the industry. KPMG’s Infrastructure Team thrives on complex, end to end infrastructure challenges that demand situational agility and unparalleled tenacity. Our team is made up of many of today's foremost infrastructure practitioners with deep experience across industries, disciplines, borders, and at all stages of an asset’s life-cycle. We custom create our teams depending on the unique requirements and challenges of each project. We work shoulder to shoulder with our clients from beginning to end, and are only satisfied when a successful outcome is achieved. For more information, visit www.kpmg.ca/infrastructure. Kiewit is one of North America’s largest and most respected construction and engineering organizations. With its roots dating back to 1884, the employee-owned organization operates through a network of offices throughout the United States, Canada, Australia and Mexico. Kiewit has one of the largest P3 development teams dedicated to the North American market and has extensive experience supporting Kiewit’s construction activities through the development, equity investment, structuring, bidding, and executing work with U.S. and Canadian P3 agencies. In the last five years, Kiewit has been involved in over 25 large P3 pursuits, raised private project debt of approximately $18 billion, committed more than $350 million of equity to P3 projects, and won two of the largest transportation DBFM’s in North America in the last two years—SWCRR and Central 70. RBC Capital Markets is a proud sponsor of the Women’s Infrastructure Network and the promotion and advancement of women in infrastructure. RBC Capital Markets is dedicated to fostering women’s development and career aspirations and enhancing networking opportunities. 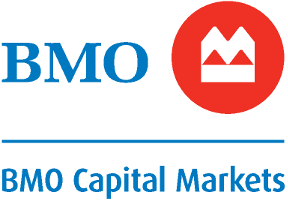 RBC Capital Markets is a premier investment bank that provides a focused set of products and services to corporations, institutional investors and governments around the world. RBC Capital Markets works with clients in over 100 countries around the globe to deliver the expertise and execution required to raise capital, access markets, mitigate risk and acquire or dispose of assets. RBC is consistently ranked among the largest global investment banks. RBC is a market leading, award winning innovator in the global infrastructure finance market including in Canada where RBC pioneered the evolution of the Canadian PPP bond market. For more information please see: https://www.rbccm.com/infrastructurefinance/cid-204738.html. Baker McKenzie helps clients overcome the challenges of competing in the global economy. We solve complex legal problems across borders and practice areas. Our unique culture, developed over 65 years, enables our 13,000 people to understand local markets and navigate multiple jurisdictions, working together as trusted colleagues and friends to instill confidence in our clients. To learn more, please visit www.bakermckenzie.com. Concert Infrastructure is an independent, long-term investor, developer and manager of Canadian public infrastructure projects. Its foundation includes the financial strength and backing of Canadians represented by the union and management pension plans who own the company as well as the 29-year history, experience and success of Concert Properties. Concert develops projects that help build and strengthen Canadian communities. EllisDon is a Canadian leader in construction and building services company that completes in excess of $3.5 billion worth of contracts annually, in every market sector and across the globe. Over the last 65 years, we’ve grown from being a general contractor to a multi-faceted company that can deliver any aspect of a project. Our “Cradle-to-Grave” construction and total service offering lets us deliver projects in their entirety. We can lead projects all the way from the initial concept phase to long-term asset management, operations and maintenance. By leveraging our core construction and building services capabilities throughout the pre-construction, construction, and post-construction phases of a project, we are able to provide solutions to clients that bring outstanding value, minimize risk, and guarantee success. Fasken is a proud sponsor of the Women’s Infrastructure Network and a committed partner in promoting and advancing the leadership of women, including in the infrastructure sector. Our infrastructure team has been recognized as a leader in North America and was awarded North American Social Infrastructure Deal of the Year (2016) by Infrastructure Journal Global. Fasken has also been consistently ranked as a top firm in this sector in leading independent industry reviews and publications. Our firm’s international Infrastructure & Public-Private Partnerships (PPP) Group is comprised of a multi-jurisdictional team with lawyers across Canada, Europe and Africa, and regularly advises project developers, consortia, constructors, bond underwriters, lenders (both bank and bond) and procuring authorities. We have a proven track record of closing projects on behalf of our clients in both Canada and the US, having advised on significant projects both north and south of the border. To learn more about our Infrastructure Group, please visit our website: https://www.fasken.com/en/solutionhub/industryhub/infrastructure--publicprivate-partnerships-pppp3. Graham Capital Partners is proud to sponsor the Women’s Infrastructure Network and its promotion of the advancement and leadership of women in the infrastructure industry. Graham Capital is a market leader in the development of public infrastructure through all delivery models including public private partnerships. As part of the larger Graham Group of companies, Graham Capital represents over 25 experienced professionals who provide project finance and development expertise on civil, social and energy projects, building on Graham’s strong track record of construction delivery in Canada and the U.S.
For more information, please visit: www.grahambuilds.com. As one of the largest global providers of construction-related services with 55,000 employees worldwide, HOCHTIEF is responsible for the development, investment, and long-term asset management of numerous public private partnership projects across North America, together with our sister companies, Turner Construction Company, Flatiron Construction Corp. and Clark Builders. We are also one of the largest providers of construction-related services in the US and around the world. HOCHTIEF’s PPP current global portfolio includes a total of 33 PPP projects (11 Transportation and 22 social infrastructure). Further information is available at http://www.hochtief-solutions.com. As a strong supporter of the advancement of women in the workplace, HOCHTIEF is honoured to contribute to this noteworthy event for a third year in a row recognizing the significant contribution that women have made in shaping and leading the infrastructure industry in Canada. The Ledcor Group of Companies is one of North America’s most diversified construction companies, serving the building, oil & gas, infrastructure, mining, power, and telecommunications sectors. Ledcor also owns operations in property investment, forestry, aviation, and marine transportation services. Ledcor employs over 7,000 people across 20 offices, and numerous construction sites. Since 1947 we have been growing with our clients and partners: Forward. Together. Find out how at www.ledcor.com. McCarthy Tétrault is proud to support the Women’s Infrastructure Network and applauds its commitment to building vibrant networks and creating valuable development and leadership opportunities for women in the infrastructure sector. McCarthy Tétrault’s Infrastructure Group is a recognized leader in Canada and is consistently ranked for infrastructure, projects and project finance by Chambers Global, IFLR 1000, and the Canadian Legal Lexpert Directory. We act for all parties including governments and other project sponsors, bidding consortia, investors, international and domestic banks, and underwriters in a wide variety of sectors, including social infrastructure, transportation and power. At all times, we strive to innovate, taking our knowledge beyond legal expertise to understand our clients' business and strategic needs. This commitment is essential to our success and has led to our work on Canada's most significant infrastructure transactions and projects, on behalf of a wide variety of interests both in North America and abroad. To learn more about our Infrastructure group, visit our Group page. Sun Life Financial is a leading international financial services organization providing a diverse range of protection and wealth accumulation products to individuals and corporate customers. Chartered in 1865, Sun Life Financial and its partners currently have operations in key markets worldwide including Canada, the United States, the United Kingdom, Bermuda and Asia. Sun Life has over 7,710 employees with 3,600 advisors and managers. Sun Life's financial strength is reflected in their strong credit ratings of Aa3 and AA-, according to Moody's and Standard & Poor's, respectively. Sun Life's Project Finance team within Sun Life Investment Management, is based in Toronto and invests in project finance, power and infrastructure financings across North America, Europe, and Australia. The Project Finance team currently holds a portfolio of investments exceeding C$10 billion. The team has significant experience in investing and funding PPP/PFI transactions where they have underwritten and participated in a wide range of transactions. Balfour Beatty Investments is a global infrastructure investor operating in the UK and North America. We provide the investment capability to deliver complex infrastructure projects. Over the past 23 years, Balfour Beatty Investments has established itself as one of the largest investors in the PPP industry, building a portfolio of 69 projects worldwide. BGIS is a leading provider of real estate management services, including facilities management, project delivery services, energy and sustainability solutions, building performance management, workplace advisory and management, and real estate services. With a combined team of over 7,000 team members globally, BGIS inspires better business performance across its client’s real estate portfolios by developing and implementing real estate and facilities management strategies. Globally, BGIS manages over 300 million square feet of client portfolios across 30,000+ locations in North America, Europe, Australia and Asia. Further information is available at www.bgis.com. BGIS is a subsidiary of Brookfield Business Partners, a business services and industrial company focused on owning and operating high-quality businesses that benefit from barriers to entry and/or low cost production. Brookfield Business Partners is listed on the New York and Toronto stock exchanges (NYSE: BBU; TSX: BBU.UN). Acting for both domestic and international clients and all manner of infrastructure industry participants, our industry team has played a significant role in most of the public-private partnership (P3) and alternative financing and procurement (AFP) projects in Canada. Since our inception nearly 40 years ago, BTY has grown into a global organisation that specialises in supporting developers and owners plan, build and maintain major property and infrastructure projects around the world. Our dedicated teams combine international expertise with deep local roots to manage every aspect of planning, design, construction and operation through all stages of the project development cycle. With a focus on risk identification and mitigation, our professionals are construction and project finance experts who are leaders in their markets and trusted advisors to our clients. Well-positioned in established North American and European markets, as well as the fast growing economies in the MENA region, we are renowned for our ability to work across borders to provide project management, cost and risk management, and technical due diligence for both traditional and PPP projects in all market sectors. Providing clients direct access to our practice leaders and industry experts is intrinsic to the superior quality of the services we provide. BTY’s commitment to sharing our knowledge, collaborating on best practices, and our constant engagement in understanding the changes in market needs and trends enable us to consistently provide responsive, reliable and tailored expertise to achieve project goals and value for money through the entire asset life-cycle. Notable projects BTY is currently providing LTA services on include the Izmir & Kocaeli Integrated Health Campus projects in Turkey, LaGuardia Airport Central Terminal Building in New York; Eglinton Crosstown LRT in Toronto and the BC Housing Single Occupancy Renewal Project in Vancouver. In Canada, GWL operates through three primary life insurance brands: The Great-West Life Assurance Company, The Canada Life Assurance Company, and London Life. Our total assets under administration exceed $1.2 trillion, with total balance sheet assets over $401 billion. Our commercial mortgages, public bond and private placement investments provide opportunities for businesses and governments to help create employment, fund research and development, and support infrastructure, healthcare and renewable energy projects. Our Canadian fixed income investment portfolio exceeds $65 billion. Private Debt group manages close to $8.7 billion of which $7.4 billion are infrastructure investments including green energy projects, airports, port terminals, hospitals, transit, highways, utilities, schools and universities. In 2017 alone, our Private Debt group invested $1.5 billion in new private placements of which close to $1.2 billion were in infrastructure-related transactions. Honeywell Building Solutions is a proud sponsor of the Women’s Infrastructure Network and the promotion and advancement of women in infrastructure. From design build to retrofit to ongoing maintenance, Honeywell offers the services and solutions you need to make your building smarter, safer and more sustainable. Our comprehensive portfolio of building automation solutions are the found in over 100,000 buildings worldwide. When it comes to delivering solutions that matter to the world, we can’t do it alone. We need a team made up of the best and brightest. The most creative. The most passionate. The most driven to make the world a better place. That’s what we care about and that’s who we hire. Honeywell has built its success over 125 years by bringing together interesting, inquisitive and creative individuals to solve some of the biggest challenges of comfort, safety, and security. Success like that doesn’t come without a deep respect for what makes us unique as individuals—different perspectives, backgrounds, cultures, and experiences. McMillan is a business law firm serving public, private and not-for-profit clients across key industries in Canada, the United States and internationally. With recognized expertise and acknowledged leadership in major business sectors, we provide solutions-oriented legal advice through our offices in Vancouver, Calgary, Toronto, Ottawa, Montréal and Hong Kong. Our firm values – respect, teamwork, commitment, client service and professional excellence – are at the heart of McMillan’s commitment to serve our clients, our local communities and the legal profession. For more information, please visit our website at www.mcmillan.ca. National Bank Financial Markets is proud to be a sponsor of the Women’s Infrastructure Network and to promote the development and advancement of women in the industry. A fully-integrated investment dealer and a subsidiary of National Bank of Canada, we offer clients a full suite of financial solutions from debt and equity underwriting to bank credit and risk management products. National Bank Financial Markets also delivers comprehensive advisory services in the areas of mergers and acquisitions and financing. A recognized leader in Infrastructure and Project Finance, our team provides clients with sound advice, comprehensive products, and exceptional levels of service that span the entire project lifecycle. Founded in 2000, P3 Advisors has become one of Canada’s most dynamic and progressive consulting firms with a strong reputation in the fields of fairness, procurement, complex outsourcing arrangements and facilities management solutions. P1 serves leading, national and international businesses and public sector agencies including municipal, provincial and federal jurisdictions. By design, we are a small, boutique firm with offices in both Ottawa and Toronto. We are a flexible and organic company that evolves and adapts as quickly as the industries we advise, to ensure that we always remain on the leading edge of best practices. We are a dedicated team of experts focused on providing our clients with the knowledge, tools and support to reach their business objectives. Our dedicated team of experienced professionals take a hands-on approach to manage projects, provide timely support and develop innovative solutions for complex projects. Plenary Group is a proud sponsor of the Women's Infrastructure Network and is a strong supporter of the advancement and leadership of women in the infrastructure sector as North America's leading specialized developer of long-term Public-Private Partnerships/Alternative Financing and Procurement (PPP/AFP) projects. 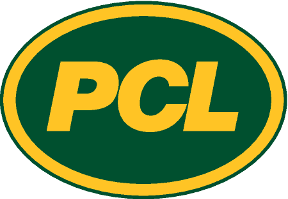 Plenary Group has become North America's leading specialized developer in the Public-Private Partnership market since its inception in 2005, with a portfolio of more than $16 billion in Canadian and American public infrastructure assets under management. Our business model relies on strong partnerships with local contractors, sub-contractors and trades to ensure the efficient and timely completion of projects, while at the same time using local procurement as an economic impetus to the local communities in which we build. For more information, please visit www.plenarygroup.com. TSX Trust is proud to sponsor the Women’s Infrastructure Network and support its commitment to the advancement and leadership of women in the industry. TSX Trust is a federally regulated trust company with offices in Vancouver, Calgary, Toronto and Montreal. We offer a broad range of trustee and agency services to support project finance and public-private partnership transactions, including acting as indenture trustee, insurance trustee, security agent, paying agent, escrow agent and custodian. Our team of experienced corporate trust professionals work with each of our clients to understand their infrastructure project and specific needs. We are committed to innovate and create the arrangements that best support your project, working with you throughout the lifecycle of the project to respond and adapt to any changes that may arise. For more information about TSX Trust, please visit www.tsxtrust.com. The Canadian Council for Public-Private Partnerships (CCPPP) is proud to sponsor the Women’s Infrastructure Network and support women’s leadership in the infrastructure sector in Canada and abroad. As promoters of innovative approaches to infrastructure development and service delivery through public-private partnerships, CCPPP recognizes the important role that strong leadership plays in taking projects from concept to operation. 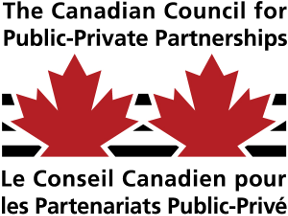 Established in 1993, CCPPP is a national, non-partisan, member-based organization with broad representation from across the public and private sectors. The Council is a proponent of evidence-based public policy in support of P3s, facilitates the adoption of best practices, and educates stakeholders and the community on the economic and social benefits of public-private partnerships. For more information on CCPPP, go to www.pppcouncil.ca, or follow us on Twitter and LinkedIn.